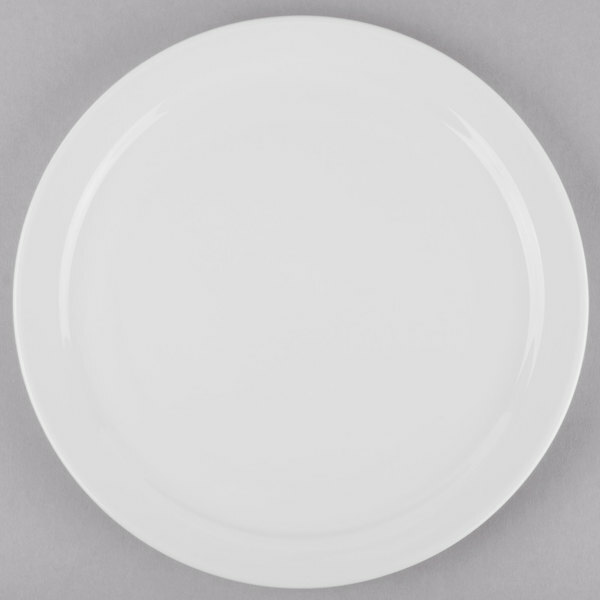 Create tasteful table settings with this World Tableware 840-440N-15 Porcelana 10 3/8" round bright white narrow rim porcelain plate. Combining a classic, round shape with a smooth, narrow rim, this versatile plate is perfect for any establishment, from casual to upscale. 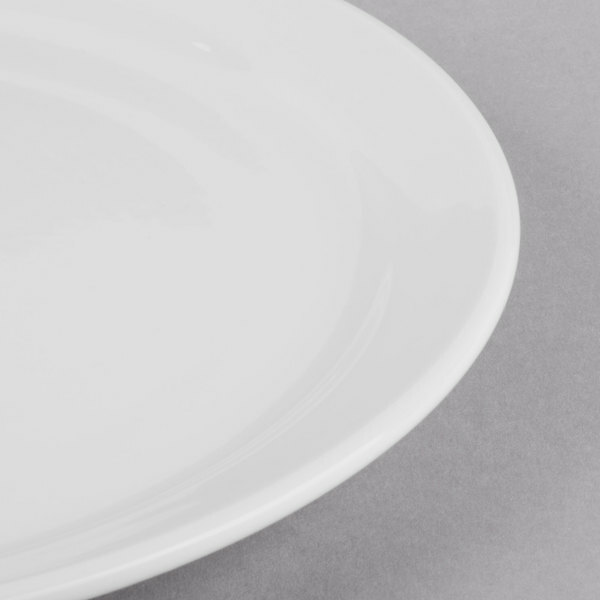 The rim provides more room for plating your offerings than comparable wide rim plates, allowing you to utilize most of its surface area. Plus, its bright white color creates optimal contrast, guaranteeing your colorful foods seemingly pop off the table for an eye-catching appearance. 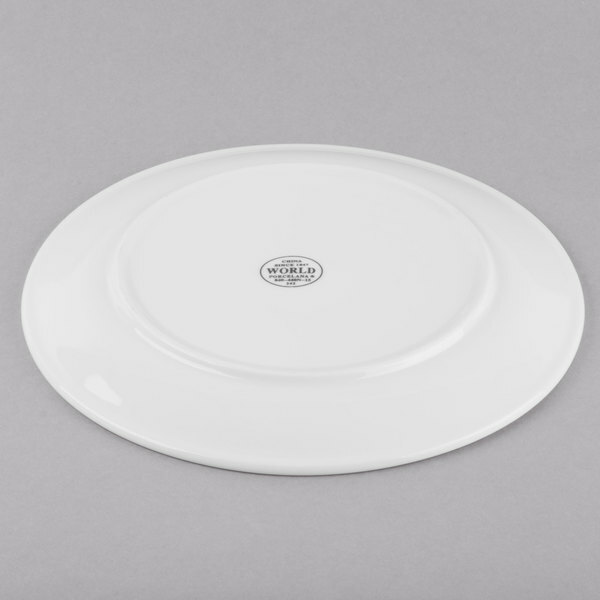 The plate is constructed of durable porcelain that has undergone a high-temperature bisque firing, allowing it to fully absorb its exterior glaze for a glossy, sophisticated final product. This firing process also makes it fully vitrified, ensuring that it is impervious to water and resistant to scratches over time. Mix and match this piece with the various shapes and styles from the Porcelana line to add distinct visual appeal to your dining presentation. 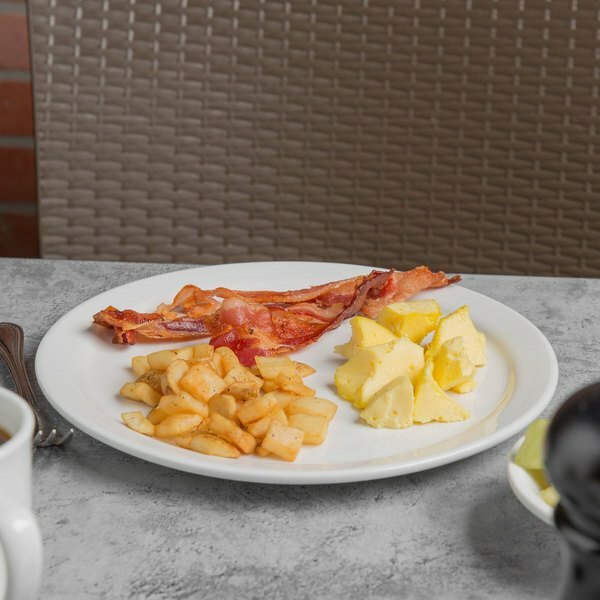 A leading provider of dinnerware items designed specifically for the foodservice industry, World Tableware produces high-performance products that are both stylish and affordable. Their collection features a broad selection of table top items with unique patterns, shapes, and colors that will upgrade any dining area's look. Each piece is also crafted out of the finest raw materials and is quality tested for a long service life. 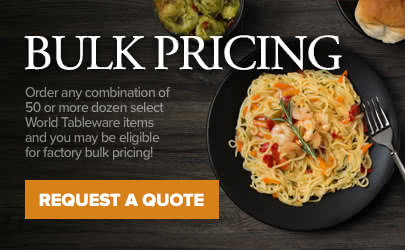 For meticulous craftsmanship, superior versatility, and outstanding value, look no further than World Tableware! I do like the simple look and the bright white color. We mostly switched to a plate with a little deeper rim (not wider, just a little deeper), because anything with any sauce will spill over the edge.